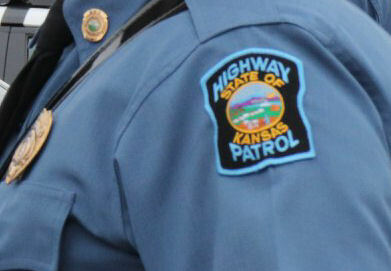 A Former Kansas Highway Patrol Trooper will spend a little less than a year behind bars for using excessive force while making an arrest. According to U.S. Attorney Stephen McAllister’s Office, James Carson was sentenced today to nine months in prison for violating an individual’s civil rights by using excessive force. Carson pleaded guilty to one count of violating civil rights in his capacity as a law enforcement officer. In his plea, he admitted he used unreasonable force against a man he arrested, R.T. Carson conducted a lawful arrest and then transported R.T. to the Labette County Jail, where at least five other law enforcement officials were present. As Carson removed R.T. from the patrol vehicle and escorted him into the booking area, R.T.’s hands were cuffed behind his back. Without warning, Carson kicked the legs out from underneath R.T., causing R.T. to crash down on his back onto the floor. Carson admitted in court that he used force against R.T. for the purpose of punishment and not for a legitimate law enforcement purpose. As part of the plea agreement, Carson agreed to surrender his law enforcement credentials and never again accept any employment related to law enforcement.